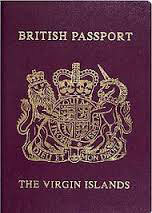 Virgin Islanders will soon see a change in the process for obtaining British Overseas Territories Citizen passports which are issued locally. Beginning July 15, the process will be centralised and the printing of passports will be done in the United Kingdom. Her Majesty’s Passport Office (HMPO) located in the United Kingdom is responsible for the legal, policy and operational aspects of British Overseas Passport Services which includes British Overseas Territories Citizens (BOTC) passports. The office recently introduced new passports styles containing more sophisticated security features which are required to meet international quality and security standards. New designs and new processes were also introduced to reduce the likelihood of identity theft and passport fraud. It is expected that the new passports would better protect citizens and international borders. Registrar-General with the Civil Registry and Passport Office, Mrs. Stephanie Benn said the passports will be printed in the United Kingdom as it is not affordable to have them printed overseas. She added that transferring blank passports around the world also presents a greater security risk. The Registrar-General added that persons applying for renewals will need to allow up to four week waiting period for the passport to be sent and returned from the UK. First time applications or a lost or stolen replacement, will take a longer period which is in keeping with the service already in place for all British passport holders residing abroad. Prime Minister of the United Kingdom, Honourable David Cameron, announced in March 2011 that the responsibility for producing passports for all British nationals living and working abroad would pass from the Foreign and Commonwealth Office (FCO) to Her Majesty’s Passport Office, then the Identity and Passport Service. The Virgin Islands along with other Overseas Territories will retain their status as a passport issuing authority and the Territory’s emblem will be shown on the front cover. The Civil Registry and Passport Office will continue to set the fees which will include courier charges and the cost of the passport. Customers will be notified by the Civil Registry & Passport Office once the passport has arrived and is ready for collection. There will also be some changes in the issuance of local emergency travel documents. The Civil Registry and Passport Office will retain the ability to issue emergency documents to non-British Overseas Territories citizens locally and will be able to issue a new eight page emergency passport for BOTC citizens only on compassionate grounds or for urgent government business. However, all emergency documents do not guarantee entry to every country and visas may be necessary. The Governor’s Office and the Civil Registry and Passport Office will continue to keep residents informed of further changes. For additional information persons may visit the Civil Registry and Passport Office on the ground floor of the Central Administration Building or on the second floor of the Burhym Electric Building. Persons may also contact the department by telephone at 284-468 3035/3038/3441. The centralization of passport production to the United Kingdom follows recommendations made by the Parliamentary Committees and the National Audit Office in 2007. In April 2009, the Permanent Secretaries at the Home Office and Foreign and Commonwealth Office (FCO) signed a Memorandum of Understanding agreeing to the repatriation of the production process to the HM Passport Office (then the Identity and Passport Service (IPS)). On March 31, 2011, the Prime Minister announced that responsibility for producing passports for all British nationals living and working abroad would pass from the Foreign and Commonwealth Office (FCO) to Her Majesty’s Passport Office (then the Identity and Passport Service). The centralization of the passport production process enables the standardisation of the application, production and delivery processes for passports. A Working Group, consisting of senior officials from each of the United Kingdom Overseas Territories was set up in 2011 to identify issues with centralization and to ensure that the revised processes were workable and sustainable. British nationality law sets out the requirements for becoming a British Overseas Territories Citizen (BOTC). The law is contained in the British Nationality Act 1981.